Edel Assanti are pleased to announce the inclusion of Jodie Carey amongst the artists selected for The London Open 2015 at Whitechapel Gallery. Jodie's contribution draws on material harvested at her solo show at Edel Assanti in March of this year. 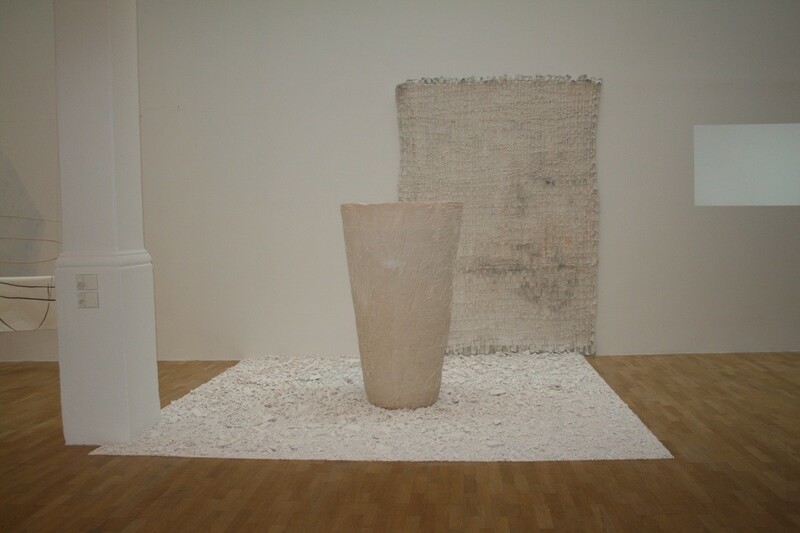 Carey re-situates one of her large, hand carved vessels and dyed canvas wall hangings to create single installation on a foundation of rubble.